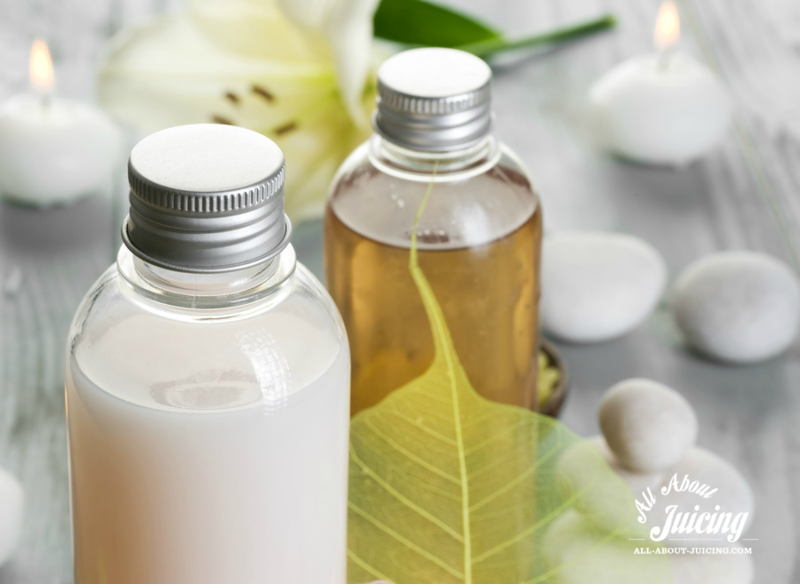 Do you have a natural skincare routine that works for you? Ever since I can remember I’ve had issues with my skin. For many people, their lifestyle and choices do show in their skin, and some others are blessed with better genetics. Eventually though, I believe how you treat your body will manifest through your skin. My problem happens to be breakouts, dullness and as I get older, drying and sagging. I also notice a major difference if I don’t sleep well, aren’t getting good water intake, am overly stressed and aren’t eating well. I wanted to share with you everything I’ve done to experiment with what did and what works for me. The good news: I do often get compliments that I look close to 10 years younger then my age, and I think it’s because I try to take very good care of myself- in what I consume, am conscious of toxins around me, and what I put on my skin. I hope my journey helps you. 1. I'M CAREFUL ABOUT WHAT I EAT & DO PERIODIC CLEANSES. Initially when I was getting into “healthy” things many years ago I started juicing and I went vegan, to cleanse. I also went all organic. I've tried a lot of things diet wise. The biggest thing that helped me was eliminating dairy, going organic and eating clean. I have very little dairy these days- and when I do I break out. I’ve been eating “clean” for a while now and it really does make a difference. Your body doesn’t have to sort getting rid of all the processed food. I also take whole food supplements by standard process to make sure I'm getting what I need. 2. I DRINK A LOT OF WATER. I try to drink half my weight in ounces each day. Your body needs this to function properly and also detox. When I wake up in the morning I have a glass with fresh squeezed lemon, a splash of apple cider vinegar and a few drops of stevia. This has really helped to clear my complexion. 3. I JUICE. I juice green and also with carrots frequently. 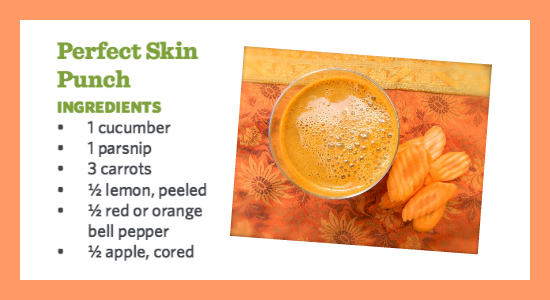 My favorite for improving my skin is the “perfect skin punch juice” below. Juicing helps me get a major amount of nutrition in a small glass. The vitamin A, C and other nutrients in this juice have helped tremendously. 4. I GET GOOD SLEEP. I try to get 7-9 hours of sleep a night in a cool, dark room. If I get less I can tell immediately. My skin is plumper and healthier when I get good sleep. I also use a silk pillowcase. 5. I EXERCISE REGULARLY. Each week I do cardio and some strength training. Exercise has many benefits, but since we’re on the topic of skin, it helps my body to release toxins in sweat that might otherwise come out via skin issues. I have to wash my face immediately after working out or I break out. If you notice you break out after a workout, try to wash your face at the gym or studio so the sweat doesn’t sit on your skin long. Tip: Never wear make up to work out! It gets trapped in your pores and will create pimples. It took me a long time to realize that. 6. I USE ESSENTIAL OILS. Essential oils have helped me to sleep better, calm my stress and feel balanced. When I have less stress, I break out less. I use and recommend Doterra blends. I'm currently in love with the balance and breathe blends, frankincense (I mix it in my face cream) and lavender roll-on. 7. I USE SUNSHINE BOTANICALS SKINCARE PRODUCTS. I’ve used the Pumpkin Power Face Peel in my natural skincare routine for years, but recently connected with Emily Fritchey, the CEO and Esthetician behind Sunshine Botanicals. She shared with me her product line and it’s really taken me to the next level of caring for my skin. They are all natural and use herbal extracts- they are powerful and amazing. Here’s my before and after pic. While it’s a little hard to see the blotches- I had this discoloration and uneven texture all over my face, as well as under skin type cysts. It’s dramatically different now because of these products that took my skin to a new level. Here are the products I use and the order I use them in. Emily put this product line up together for me. She is available for consults to help you too, or you can try what I’ve used in the order I use them each morning and evening. Step 1. ARTIC MINT TEXTURE REFINING CLEANSER This amazing cleanser is heavenly. It has mint and really washes away face oil/makeup but still leaves your skin soft. Step 2. HYDRATING RECOVERY MIST This mist is like a toner. It is anti-fungal, anti-redness and calms the skin. Step 3. RAPID REPAIR FLUID This fluid is an intensive repair serum that provides oil free hydration. It has truly made my skin happy. Step 4. BRIGHTENING COLLAGEN ACTIVATOR LOTION This light lotion diminishes discoloration and replenishes moisture while building collagen. Step 5. 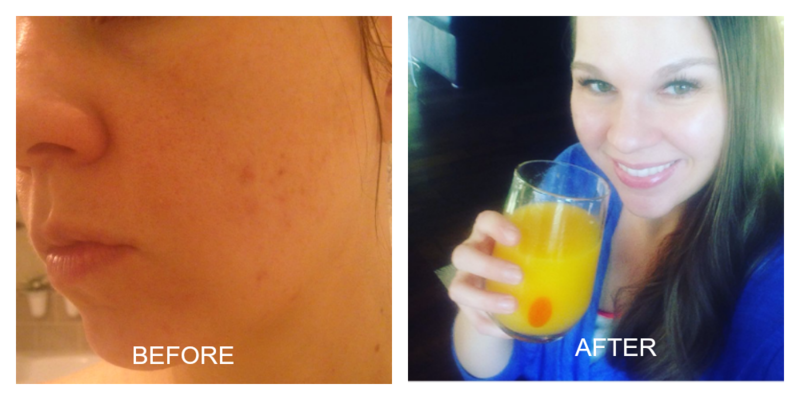 A few times a week, I use the PUMPKIN POWER PEEL to remove brown spots and any uneven texture/coloration. If you don’t want to get microdermabrasion or harsh chemical peals, try this. It really works and is what first got me curious about the rest of Sunshine Botanicals line. Step 6. Sometimes after this routine I put on the TOTAL ECLIPSE BB CREAM to may face and neck area. It has a slight tint and is a natural skin cream for everyday use. It's great. You can get any of these items at the Sunshine Botanicals Shop online. So that’s what I do. It seems like a lot, but most of those items are part of a healthy lifestyle anyway. It’s really turned my skin around and if you’re having skin issues, I hope this information helps you. Comment below on what's worked for you and how you'd like to improve your skin.